If you live in North America then you know our food does not have to be labelled if it contains GMOs. However, I have some good news for you! Once you learn what foods are possible GMOs and all of the names they can be listed as in the ingredient label it is actually really easy to avoid products containing GMOs while grocery shopping. If you are not sure why you might want to avoid GMOs please refer to some of my previous articles on Featured Documentaries: GMO OMG, Genetic Roulette, King Corn, and The Future of Food. In addition to the health effects there are also social, political, environmental, and economic outcomes of GMOs, the documentaries listed above are great resources to understand these issues. 1. The herbicide-resistant GMO crops are heavily sprayed with glyphosate, which is now classified as 'probably carcinogenic to humans' and damages our digestive lining and microbiome. This is also an issue for some non-GMO grains since they can often be sprayed with the same pesticides and herbicides, including glyphosate. I always look for certified organic and non-GMO. 2. Bt-insecticide producing GMO crops are engineered to produce an insecticide from inside of their cells so that when insects bite into the plant the insect dies. GMO advocates state that this insecticidal protein is safe for human ingestion because we have a much more acidic stomach than insects do, rendering the insecticide inactive. 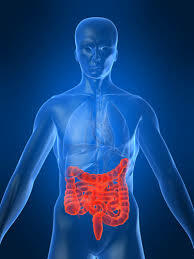 However, what is not taken into account is that the pH of our stomach it not always as strongly acidic as it should be. Many people have low stomach acid production, or are taking acid-blocking medications or antacids, and when we eat our stomach becomes a lot less acidic due to the presence of food and liquids. I feel this is such an important topic, and really is easy to follow once you learn the main ingredients to watch out for. with recipes and a shopping list. As consumers, our collective purchasing power has a lot of influence over our food system. We can inspire substantial change by voting with our dollars for sustainable, organic agriculture and safe food. Everyone, regardless of whether or not they are vegan, needs to be aware of any nutrient deficiencies they may experience due to an unbalanced diet and/or poor digestive function - you are not what you eat, you are what you absorb! ​The need for supplements is definitely not limited to vegans, however, for the purpose of this article we will focus on some of the deficiencies that may develop if a vegan diet is not properly balanced. The discussion of supplements for vegans is not an argument for vegan diets being unnatural, because many omnivores also have deficiencies. Personally, I would rather take a couple supplements and be super healthy and full of energy than to avoid supplements in order to try and prove that vegan diets are our natural diet (since doing extensive research for teaching the Evolution of Cultural Diets this may be a topic for a future post!). It is interesting to note that the animals people consume are fed a supplemented diet and dairy is also fortified with many nutrients, so an omnivorous diet relies on supplementation as well. 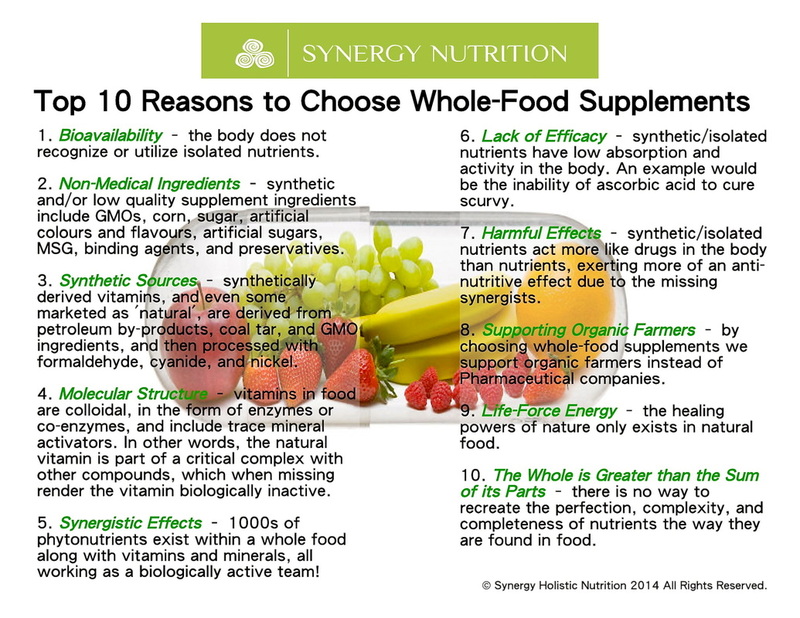 Please note, not all supplements are created equal and are never meant to replace a healthy balanced whole-food diet. Read more here about how to choose the best supplements. Vitamin B12 - if you eat packaged foods that are fortified with B12 you will be getting trace amounts, however, I still recommend a sublingual methylcobalamin supplement, especially if you eat lots of seaweed and algae - these foods are great and there is no reason not to eat them but they do contain B12 analogues which can bind to and block B12 absorption. Vitamin D3 - there are now lichen-sourced vegan D3 supplements available. If you live in the Northern Hemisphere it is best to supplement with 1000IU from October - March (or even a higher dose if you have low levels), and perhaps continuing with a lower dose in the summer if you do not spend enough time outside. DHA/EPA - these are the long-chain active forms of omega-3. Chia, flax, hemp, and walnuts do contain ALA omega-3 but the body has to convert this form into DHA and EPA and the conversion rate is very low. Definitely try to eat lots of omega-3 rich foods but I also recommend an algae-sourced DHA/EPA supplement as well. They are available in capsule or liquid form. There are also some flax oils that have added algae DHA. Iron - if you are eating a wide variety of plant-foods and don't have any digestive issues it shouldn't be difficult to get enough iron. However, if you know you are low or have low energy then I recommend a whole-food source iron supplement (Pranin, Garden of Life, Megafood, and Botanica make whole-food sourced iron supplements). Calcium - again, if the diet lacks variety (especially dark leafy greens) or there are issues with digestion (both iron and calcium require sufficient stomach acid in order to be absorbed) then you may need to look into supplementation. Similar to iron, it is beneficial to find a whole-food based supplement. Otherwise, a vegan diet with lots of leafy greens, nuts, and seeds should supply enough calcium. 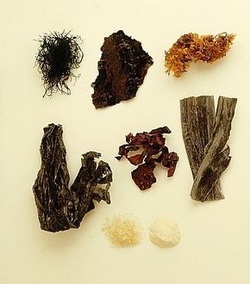 Iodine - seaweeds and unrefined sea salt contain iodine, however, if you do not consume much of these foods it might be worth it to add in a kelp supplement in order to prevent a deficiency. Cholesterol - we need cholesterol, it is so important in fact that our liver produces it. Plant-foods do not contain cholesterol, however, when a vegan diet includes enough healthy fats and our liver is functioning properly then we will be able to produce all the cholesterol we need. Deficiencies can develop on extremely low-fat vegan diets. Vitamin K2 - we can get lots of K1 from leafy greens and fruit but K2 is a bit harder to come by (Natto - a fermented soy product contains K2). However, when we have a healthy balance of beneficial intestinal bacteria then these bacteria may produce enough K2. To support a healthy intestinal microbiome it is important to eat fermented foods and take a high quality dairy-free probiotic (except for issues with histamine intolerance), as well as eat enough fibre-rich foods. Certain types of fibre are the food for intestinal bacteria, they are known as prebiotics. If dysbiosis (unbalanced or low beneficial intestinal bacteria) is present or if there are issues with bone density it may be advisable to take a K2 supplement. If you have any questions feel free to book a Complimentary 15min Discovery Call. Are you feeling bored with your exercise routine? ​Or perhaps unmotivated to even start one? When it comes to maintaining an active lifestyle, the key is to enjoy the activity! If you are not happy forcing yourself to the gym to lift weights or doing the same couple of exercises day after day, maybe it is time to check out some new classes or types of exercise. An important factor to also remember is that working out longer is not necessarily better. When time allows, of course spend more time be active, however, if you are not working out at all because of how busy you are, know that even 10-15mins of activity is better than no activity. Depending on the type of activity, that 15 minutes work-out could even be more beneficial than an hour on the treadmill for example. For making the most out of shorter work-outs look into HIIT - High Intensity Interval Training. These are short bursts of high intensity exercises followed by a short rest and then repeated with different exercises. Youtube is great for finding fun workouts you can do in the comfort of your own home. There are also many DVDs or online programs you can buy for working out at home. Spin Classes: These are so fun! You are on a bike in a dark room with loud energizing music to keep you going, the hour literally flies by. If you are in Vancouver check out Spin Society and Eastwood Cycle. Barre Classes: It feels like a combination of ballet, pilates, and yoga. It is not too intense, you can kind of modify the intensity by the weights you use. I know there are more and more studios opening, so far I have been to Barre Fitness in Yaletown and loved it! Dance Classes: From Zumba to Bollywood to Hip Hop, dance classes are very fun and exciting ways to stay active. I recently checked out the Dancer Body Bootcamp class at iDance Studio and really enjoyed it. Hot Yoga: This may be my favourite type of class during these cold winter months. I really enjoy the hot yoga classes that are more like a power or flow yoga rather than some of the bootcamp style studios. Moksha Yoga and West Coast Hot Yoga offer some really great classes. Remember, an active life means a healthy and happy life. If you are feeling unmotivated or uninspired check out something new, you never know what you may end up loving! Check out my new video series about how to stay healthy on the road and how I like to incorporate these amazing products. Want to take what you learned into action? 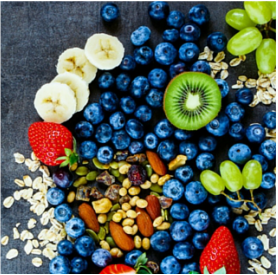 Check out the Vibrant Health Program to get even more transformational information (videos, audio presentations, handouts) and recipes to support glowing skin, vibrant health, and so much more! 3. Gradual Sun Exposure. If you have quite fair skin it is best to gradually build up a tolerance to the sun in early summer. You are less likely to burn if you gradually expose yourself to the sun. Best times to begin are early morning or late afternoon, when the sun is not as strong. For prolonged periods of sun exposure it is a good idea to use natural sun screens for people that are prone to burning. Summer is just around the corner and for many of us that means trying to get our bodies ready for swimsuit season. We all know it takes exercise and a healthy diet to lose weight, but what if there is more to the story, especially when it comes to belly fat. Cortisol is the stress hormone and chronic high levels are linked to belly fat. If you seem to be only holding onto weight on your stomach, and have a lot of stress in your life, addressing cortisol could be the key to achieving a flatter stomach. Eat foods rich in B vitamins or take a whole-food based B complex, my favourite is Pranin B Complex. Yoga, meditation, deep breathing, regular massage, and hot baths with relaxing essential oils all help reduce cortisol. Honour the body's natural circadian rhythm. 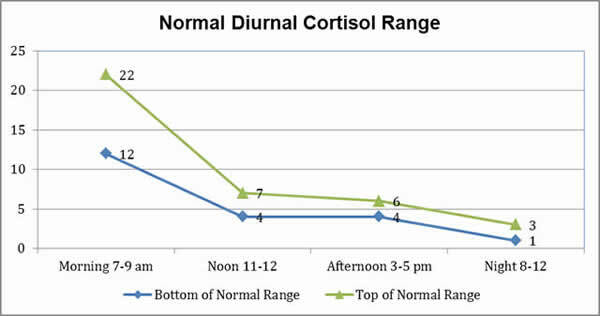 Cortisol is naturally higher in the day and then starts to decrease after about 6pm. Exercise is great but if you are working-out too late in the day it is actually counter productive. Between 7pm and bedtime should be for relaxation. Hypothyroidism is often a result of adrenal fatigue. Supporting the adrenals should help balance thyroid function. If you still suspect an underlying thyroid condition after addressing adrenal function it is best to consult with your healthcare practitioner. For more details about cortisol this article is very informative. Drastic spikes in blood sugar result in insulin imbalances, which can also cause cortisol imbalances. Incorporate blood sugar stabilizing spices into your meals. Adding at least 1/2t of one or more of these spices to your meals help regulate insulin levels: cinnamon, clove, oregano, cayenne, and turmeric. Increase protein and fibre at each meal. Avoid refined carbohydrates, coffee, and alcohol. We are often told cardio is the best way to decrease fat, however, if you have chronic high levels of cortisol then cardio is the last thing you should be doing. Instead it is better to focus on weight-training, strengthening the core, and yoga or pilates. If there is excess weight on other parts of the body as well as the midsection, and cortisol is not as issue, then cardio can be a part of your regular exercise routine. These are chemicals found in personal care products, household cleaning products, pesticides, plastics, and canned food. They disrupt the balance of hormones and make the body hold onto fat cells. They can also increase the size and number of fat cells since they are toxins, the more toxins in our environments the more fat cells we need to store them in. Alcohol is not only a source of empty calories, it also disrupts hormone levels. Forskolin or Coleus forskohlii stimulates fat burning enzymes and hormones. Look for supplements with at least 10% active ingredient and take 125mg every morning. Drink organic green tea with fresh squeezed lemon everyday. Be sure to allow the tea to steep for at least 20mins. Can drink hot or cold. Is it fat or just bloating? Decrease the chances of bloating by following proper food combining and increasing digestive function. My recent post on Hypochlorhydria has some tips for improving digestion. Produced by bacteria, vitamin B12 can be a difficult nutrient to absorb if our digestion is less than optimal. Deficiencies are common in vegans, vegetarians, as well as omnivores. Omnivores can become deficient when they are not absorbing it properly, perhaps due to underactive stomach and/or mucoid plaque accumulation. 1 in 31 adults over the age of 51yrs old are B12 deficient. If our digestive system is not functioning optimally, B12 is not being fully absorbed. Since most people, regardless of diet, have digestive issues it is easy to see how B12 deficiency is so common. In raw and vegan diets, some B12 can be obtained from seaweed, algae, fermented foods, fortified foods, and nutritional yeast (which also contains small amounts of MSG), however, a B12 supplement of methylcobalamin is still recommended to ensure you get adequate levels (a good idea for some omnivores as well). 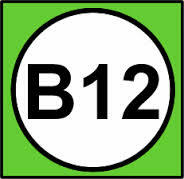 If you are worried about your B12 status or have digestive issues, it is a good idea to get your blood levels tested - ask for homocysteine levels since B12 tests measure active and analogue B12 in the blood. Analogue B12 is present in seaweed. High homocysteine indicates low B12 status. *Bacteria in our large intestine can produce some B12, however, it is considered to be too far down in intestine to be properly absorbed. I do think we can absorb some of this B12 if our intestines are clean and we have ample intestinal flora. Longterm B12 deficiency can lead to irreversible nerve damage so it is a good idea to be aware of this important nutrient. Want to learn more? Book your appointment for personalized Nutrition Consulting. Luckily, Crohn's can be also be managed by addressing diet and lifestyle factors. Due to the severity of this disease, the complications that can arise, and the pain associated with the inflammation, it is recommended to work very closely with a nutritionist or naturopath. Vitamin A - 5000IU/day, in liquid or capsule. Pranin B Complex - a whole-food powder. May also have to take an additionalB12 (methylcobalamine) sublingual supplement. I have also seen additional recommendations for Vitamin E, Zinc, and Magnesium. The body has a hard time absorbing nutrients when Crohn's is present so depending on how long you have had it, your diet, and how advanced it is, everyone will have different levels of nutrient deficiencies. 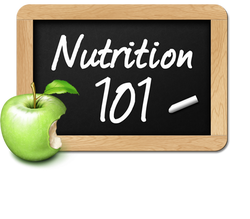 A blood test can be taken to assess the exact levels of nutrients and then more specific supplement recommendations can be made. As a nutritionist, Hypochlorhydria (underactive stomach) is something I see in almost every client. Underactive stomach is when the stomach does not produce and/or secrete enough hydrochloric acid, which then affects our ability to properly digest and absorb nutrients, especially protein, minerals, and Vitamin B12. A low secretion of digestive enzymes usually also occurs. The common misconception, even in the medical community, is that heartburn is the result of too much acid in the stomach, however, this is very rarely the case (Hyperchlorhydriadoes exist but is very uncommon). Maintaining a high raw or 100% raw diet during the winter months can be challenging, however, it doesn't have to be! For dishes that are supposed to be served hot, these can be warmed in the dehydrator or the oven on the lowest temperature setting with the door slightly ajar. Warm these dishes until they are approximately 110F. For dishes like soups and hot drinks, these can be warmed to 110F by blending for 2mins in the Vitamix or Blendtec. Include more warming herbs and in all your recipes: garlic, ginger, cayenne, chili, chipotle, mustard, turmeric, clove, nutmeg, cardamom, cinnamon, black and white pepper, thyme, star anise, Garam Masala, fennel, sage, and rosemary. Be mindful of the seasons, eating more squash, roots, and fruits like apple, pear, berries, and pomegranate. Reduce high-water content tropical fruits like papaya, mango and pineapple. Some of my favourite recipes this time of year include Hearty Vegetable Chili, Lasagna, Spicy Thai Burgers, all served warm straight from the dehydrator! I also include lots of ginger and fennel in my morning green smoothie and juices; and I eat lots of warming soups, including my favourite Butternut Squash Soup. 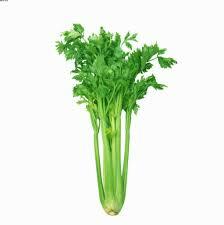 We see these examples in fruit, vegetables, herbs, nuts, seeds, and legumes. 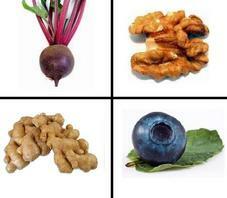 Detoxifying, energy boosting, immune supporting superfoods! Kelp is unique in that it is just as common in its whole food form as a ingredient as it is in capsule form as a supplement for iodine, specifically useful for thyroid function. Blue-green algae is available in powders, capsules, and fresh frozen liquids, these nutritional powerhouses are a very versatile ingredient. Use the powders and/or liquids in your favourite smoothie recipe, add to raw food desserts, or salad dressings. One of my favourite blue-green algae products is the fresh-frozen Power-On from E3Live, it is the regular AFA algae with extra PEA! 1. It is acid forming, and may contribute to issues with heartburn. 2. Stresses your adrenals to the point of exhaustion. 3. Irritates the stomach, causing the opening between the stomach and small intestine to open, releasing food into the small intestine that didn't have time to fully break down in the stomach, resulting in improper digestion and absorption of nutrients. 4. Yes, it is true there are some antioxidants in coffee, but there are also harmful compounds formed since the beans are roasted at such high temperatures. 5. Contributes to imbalances of hormones, especially cortisol and insulin. 6. Prevents body from properly absorbing minerals like calcium and iron. 1. Matcha Tea: Will provide longer lasting energy while still allowing you to remain calm, centred, and focused. No more jittery nervous energy! 2. Raw Cacao Nibs: can be purchased pre-ground or can grind yourself in a coffee grinder, and then brew just like you would regular coffee. The taste is amazing and still provides a bit of caffeine but since the cacao beans have not been roasted you avoid the harmful compounds found in coffee. 3. Teechino: made from a variety of roasted grains and herbs. 4. Chaga/Mushroom Blends: This is the healthiest possible option! 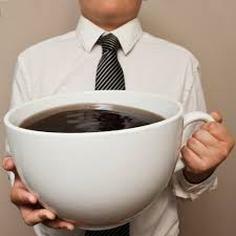 Even if you are not using it to quit coffee, this is a very beneficial drink to consume everyday. Just whisk up some mushroom powder with a bit of hot water and add your favourite dairy-free milk and sweetener. My favourites are the 14 Mushroom blend by Harmonic Arts, and the Cha Cha Chaga blend by Jump Up and Go Go. Contact Shawna today for Nutrition Consulting, or Private Raw Food Class for help and information on quitting coffee, how to support your adrenals, or simply learning how to incorporate more superfoods into your life!